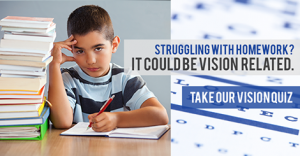 Noah was in 4th grade when he first came to Complete Eye care in Belmont, NC for an eye exam. He was found to be nearsighted and his prescription was already so strong that he saw 20/300 without glasses. His mom, Carrie was worried because his eyes kept getting worse and worse each year. Noah needed stronger glasses every year when he went to the eye doctor for an exam and Noah could not see the board or watch TV without his glasses on. He also could not see clearly when we went swimming in the summer which made it difficult for him to enjoy summer activities. Noah saw Dr. Barbara Marcussen who talked to Noah’s Mom Carrie about treatment options to slow down his increasing progression of nearsightedness each year. The system is called GVSS or The Gentle Vision Shaping System and it is a form of ortho-k which gently reshapes the cornea while you sleep. Noah’s mom decided to have him do the GVSS or ortho-k since she wanted to prevent his eyes from getting worse each year. Dr. Barbara Marcussen fit him in specially designed contact lenses which were individually designed using wave front technology to reshape his cornea based on 11,000 points. This very specialized individual design allows for extremely precise results and clear sharp 20/20 vision all day long for nearsighted people. The best part is this reshaping happens every night as the contacts are worn nightly so the eye is prevented from changing and elongating which results in stable vision. This means Noah’s eyes do not get worse every year like they would if he were not wearing these specially designed lenses. This gentle reshaping results in clear sharp 20/20 vision all day long when Noah is awake without any daytime glasses or contact lenses. Noah loved the instant freedom he now had by being able to see clearly all day long at school and he liked seeing the board or being able to play sports or go swimming without any daytime glasses or contact lenses. Noah’s mom Carrie was skeptical at first that wearing contacts at night only could let Noah see clearly all day long without glasses or contacts. A few days after he started wearing the lenses, she asked Noah if he could see the board at school. He said, ‘Yes”. But one day a few weeks after he began the GVSS process, she decided to see for herself that Noah had clear crisp vision. She showed up at his school at lunch and walked him down to his classroom. She asked him to stand at the very back of the room and read everything on the board. When Noah read everything on the board in his classroom to her from the back of the room, she knew he could see clearly. Carrie, says, “I just wanted to make sure he could see clearly”. She laughs about that day now since Noah has been seeing clearly for the past seven years. 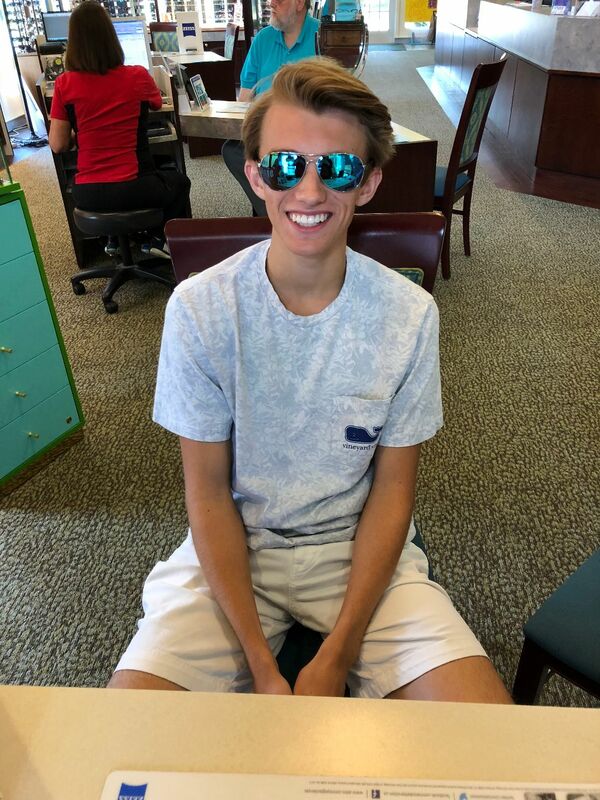 Noah is now 16 and a junior in high school He is old enough to drive and still enjoys the freedom of clear sharp 20/20 vision without any day time glasses or contact lenses. Noah simply puts in his specially designed contacts at night and wears them overnight. He then takes them out in the morning and he sees 20/20 all day long. Noah’s mom, Carrie was so happy with the GVSS system that when Noah’s little sister, Abby became nearsighted, Carrie had her do the GVSS system also since she knew how well it worked with Noah. Noah’s mom says that the decision to get Noah the GVSS lenses over seven years ago was one of the best decisions she has made for him!